While planning your wedding, you will eventually have to decide where to take your wedding photos. In a previous post, we talked about our favourite indoor wedding photo locations in Winnipeg – you can read it here. Today I am sharing my favourite outdoor wedding photo locations. Winnipeg has so many beautiful outdoor spaces to take your wedding photos – here are my faves! My absolute fave, Stephen Juba Park on the Waterfront right next to the Exchange District is the perfect spot for outdoor wedding photos in Winnipeg. The perfect spot for your first look photos and enough space to bring the entire wedding party, it’s green space makes it a gorgeous stop on your wedding photo list. Best of all…it’s free! An iconic Winnipeg wedding photo location, Assiniboine Park has been a favourite for couples and wedding photographers for years! The floral gardens, sculpture garden, and Pavillion offer beautiful green space and variety for your outdoor wedding photos. Time slots for wedding photos have to be booked by contacting the park events office. Not a popular choice, but a fun stop if you are already downtown. Some nice green backdrop space and a misty fountain to cool you off if you are getting married on a hot summer day. 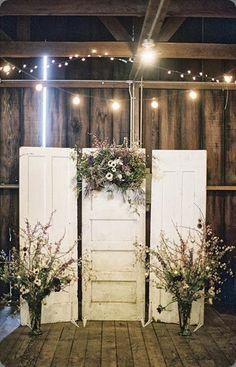 My ultimate fave for outdoor fall wedding photos. St. Vital Park, with tons of green space and beautiful ponds is an excellent choice for your outdoor wedding photos. The colours are absolutely stunning in the fall months! Regal and elegant, the basilica at the St. Boniface Cathedral has the best of both worlds. Gorgeous green space with elegant stone walls and arches. Spots must be booked by contacting the church office. You can’t get married downtown without taking a spin through the Exchange District for some wedding photos. The rich character of the old buildings and industrial spaces creates a fun backdrop your wedding images. And the best part, take a break at the Kings Head Pub! The 2018 wedding season here in Manitoba has been one for the record books. Heat wave after heat wave has had me sweating through many weddings this summer. Even though you can’t avoid the heat completely on a wedding day, there are a few things you can do to stay cool and comfortable. Here are my stay cool wedding tips for our hot hot hot Winnipeg summers. Avoid the heat as much as possible. The key to beating the heat on your wedding day is to avoid it as much as possible in the first place. Choose a venue for your ceremony and reception that are indoors and airconditioned. If you are having a tented wedding reception, ask the tent company about portable air conditioners and fans. They can help take the edge off of a hot day. When it comes to your wedding photos, have an indoor option booked like a studio or historic building to give everyone a break from the heat. Hydrate. Hydrate. Hydrate. I can’t say this enough. You have to stay hydrated on these sweltering days (and no, champagne and beer are not the same, but nice try lol). Make sure to have plenty of water available for everyone in the wedding party. You don’t want anyone becoming dehydrated – headaches and dizziness are not welcome on a wedding day – not fun! It’s impossible to avoid the heat entirely, but there are ways to make yourself more comfortable. Choose a wedding dress and bridesmaid dresses that are light and expose your shoulders and arms. Going sans suit jackets for the groom and groomsmen will also make a huge difference for the guys. No one wants to wear a jacket in this heat! Another tip is to have the guys get two shirts – this way if they sweat through their shirt they can change into a fresh one for the reception. Your guest’s comfort should be your number one priority on your wedding day – especially if your wedding day lands in the middle of a heat wave. Providing hand fans, cool beverages, and keeping anything outdoors short and sweet will ensure your guests don’t melt in the hot sun. Your make-up artist can sweatproof your makeup to ensure you and your girls stay fresh the entire day. Using a primer before application and applying facial mist throughout the day will keep your makeup from disappearing in heat and humidity. Ask your makeup artist for samples so that you can apply touchups throughout the day as needed. There are so many great spots here in Winnipeg for wedding photos. Of course, you’ll want to have lots of photos in the beautiful outdoors, but you should always have a plan B in case of rain. It’s also nice to book an indoor location to get you and your wedding party out of the heat for a bit to chill out! Here are our favourite indoor wedding photo locations in Winnipeg. This is a must-have when it comes to indoor wedding locations in the city. Each studio has a different style and theme, plus they have the coolest retro sofas! Classic and oh so romantic, the Hamilton Building on Main Street is the perfect spot for your first photos as husband and wife. Such a cool space, the Hydro Building on Portage Avenue is modern and elegant, plus it’s free to book! Who doesn’t love a bit of old-fashioned glamour on their wedding day? The Millennium Centre is the place to go if you are looking for a unique and elegant spot for your wedding photos. Always one of my first recommendations for the couple looking for something a little more modern and fun. Red River College on Princess Street is a great stop on your wedding day. I love outdoor wedding ceremonies! With our chilly Winnipeg winters, it’s so nice to be able to enjoy our gorgeous summers as much as possible, especially on a wedding day! The warm sunshine, a soft breeze and the beauty of nature – an outdoor wedding ceremony creates the perfect atmosphere for breathtaking I do’s. When it comes to an outdoor wedding ceremony, there are a few important details to keep in mind. Whether it’s on the beach, in the backyard of your parent’s home or your favourite park, there are just certain things that shouldn’t be overlooked. Here are five tips for planning an outdoor wedding ceremony. A good location can make or break your outdoor wedding ceremony. Whether you are getting married in a backyard, a city park, or the green space at your reception site, you want to be sure that the outdoor space is not only beautiful but that it has everything you will need when it comes to logistics. Is there ample parking for your guests? Are there washrooms in close proximity to the site? Do you need to apply for special permits? Is there power? Is there an area for you and the wedding party to hang out in before walking down the aisle? Be sure to do a site visit and keep these important aspects in mind to ensure your outdoor I do’s don’t become a logistical nightmare. Mother nature can be that unwanted guest that creates havoc – don’t let her ruin your big day. You never know how the weather is going to be on your wedding day, so it is essential that you have a plan B in case of inclement weather. Is there a building on site that you can use in case of rain or will you have to book a tent as your backup? I always say ‘Hope for the best but plan for the worst.’ This is never truer than when planning anything outdoors. You don’t want to just hope for the best and regret it later. Saying your vows in a tent might not be the outdoor wedding you were dreaming of, but neither is a downpour that gets everyone running for cover. Put the comfort of your guests first. When making decisions for your wedding ceremony, always ask yourself “Is it important to the comfort of my guests?” If the answer is yes then it is a must. Be sure to have enough seating for all of the invited guests. 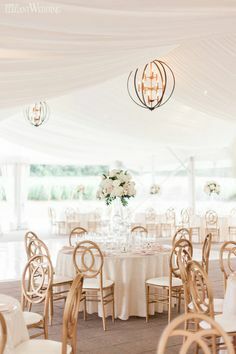 Your guests could be standing for as long as an hour, so skimping on renting chairs to save costs will only make for cranky and uncomfortable guests. Have refreshments on hand like iced tea and water to quench their thirst in hot weather. Provide fans to cool themselves and bug spray to keep guests as comfortable as possible while you are saying I do. 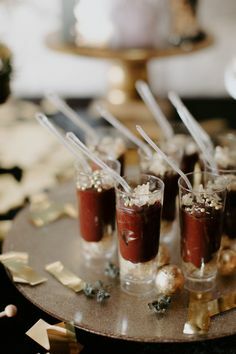 Keeping guests happy will ensure they are in a celebratory mood for the remainder of the event. There is nothing worse than sitting through an entire wedding ceremony and not being able to hear one word. Having a microphone on hand is important so that all the guests, including the ones sitting at the back, can hear what is being said. You might think you will be able to speak loud and clearly on the wedding day, but being nervous and anxious makes people speak quiet and faster. So a microphone is important in all cases. You are outdoors after all – planes fly overhead, babies cry and cars on nearby roads can be quite loud and will overtake your words. Sitting outside in the elements can only be tolerated by guests for so long before they start to get uncomfortable. Having a long winded ceremony that never seems to end when the sun is beating down on guests just isn’t fun for anyone. 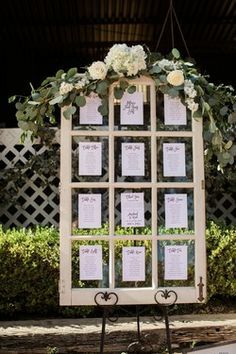 Do your guests a favor and keep your outdoor wedding ceremony under twenty minutes so that they aren’t sitting for too long. And please try your best to start on time – nothing is worse than sitting in the hot sun and swatting bugs because things are starting late. Exposing your guests to the elements longer than they have to be is inconsiderate, so be mindful of the time.